Immigrants face removal from the United States if they are charged with certain crimes or are caught living or working in the United States illegally. The Amezola Legal Group offers quality representation for immigrants who want to avoid immigration removal proceedings, or deportation. Our attorneys have appeared before the Immigration Courts in California at San Diego, Otay, Los Angeles, San Francisco, Adelanto and El Centro. We have also appeared nationally at other courts in Arizona, Washington and Maryland. We have conducted bond hearings, cancellations hearings, voluntary departure hearings and termination hearings. 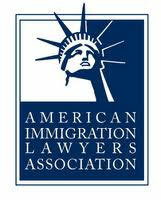 We provide advice and guidance to assist individuals remain in the U.S. legally. We have substantial experience representing clients who are detained and we understand the complex issues involved with immigration custody. An experienced immigration defense lawyer can be extremely helpful when trying to succeed in removal proceedings and avoid removal from the United States. In some instances, waivers are necessary for immigration hearings. We have substantial experience in all areas of removal defense. Contact the Office at (619) 255-7310. Below is a list of other areas of the law that we can help with in deportation defense.